Sometimes you need a quick way to tell the world, all of it, everyone, "there is no mode of escape from the current situation other than to persevere." For those times, CNC Design offer you the universal totem: The Deal With It Sunglasses. 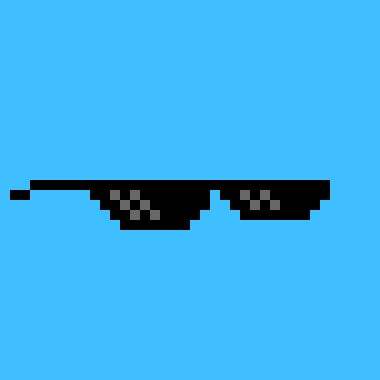 Laser cut and engraved from a solid piece of smoked acrylic, the Deal With It Sunglasses are perfect for the total boss whose ethos is best summed up by an 8-bit GIF that's been lingering on the internet since 2010. The shades don't have hinges, because like the will of the major bro who wears them, these sunglasses never bend.